Central Tampa treasure! Live in the desirable Wellswood neighborhood in this wonderful updated 4/2 ranch style home. This block home sits on an oversized lot which boasts a huge deck, perfect for outdoor entertaining with family and friends. Updated kitchen, fresh paint throughout the interior & exterior, new carpet in bedrooms, and mature landscaping. *Newer roof is less than 2 years old* Enjoy the convenience of being centrally located to all Tampa has to offer. 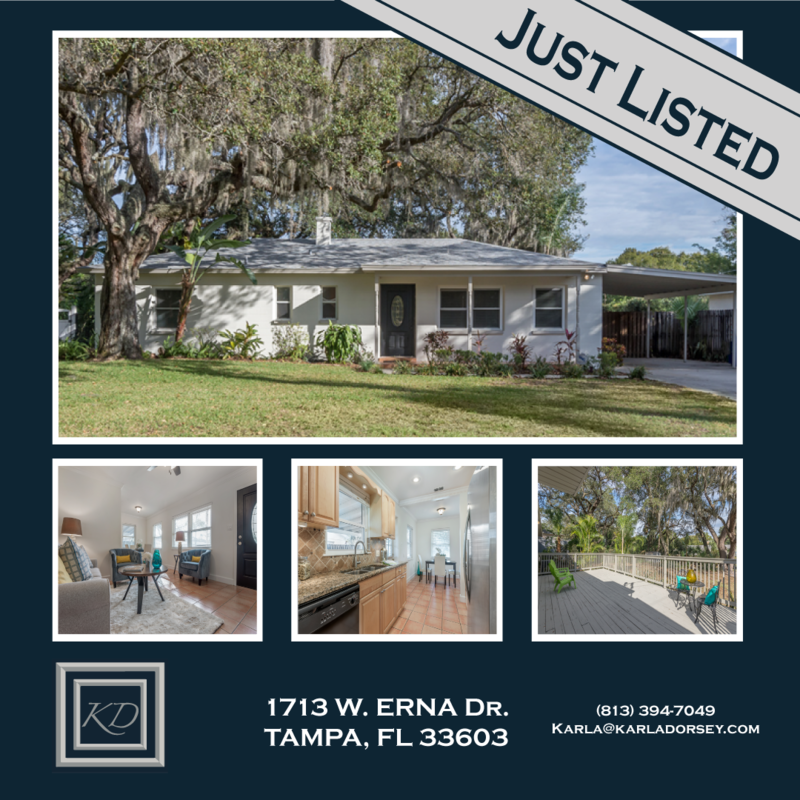 Just minutes from Downtown, Lowry Park Zoo, Tampa International Airport, USF, UT, and walking distance to Tampa Catholic High School. A perfect move-in ready home for your family just in time for the New Year!